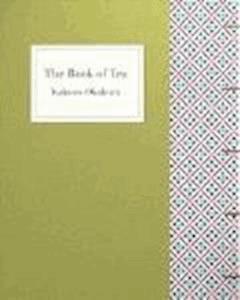 The Book of Tea was written by Okakura Kakuzo in the early 20th century. It was first published in 1906, and has since been republished many times. In the book, Kakuzo introduces the term Teaism and how Tea has affected nearly every aspect of Japanese culture, thought, and life. The book is accessibile to Western audiences because Kakuzo was taught at a young age to speak English; and spoke it all his life, becoming proficient at communicating his thoughts to the Western Mind. In his book, he discusses such topics as Zen and Taoism, but also the secular aspects of Tea and Japanese life. The book emphasises how Teaism taught the Japanese many things; most importantly, simplicity. Kakuzo argues that this tea-induced simplicity affected art and architecture, and he was a long-time student of the visual arts. He ends the book with a chapter on Tea Masters, and spends some time talking about Sen no Rikyu and his contribution to the Japanese Tea Ceremony. According to Tomonobu Imamichi, Heidegger's concept of Dasein in Sein und Zeit was inspired — although Heidegger remains silent on this — by Okakura Kakuzo's concept of das-in-dem-Welt-sein (to be in the being of the world) expressed in The Book of Tea to describe Zhuangzi's philosophy, which Imamichi's teacher had offerred to Heidegger in 1919, after having followed lessons with him the year before.